Interested in seeing first-hand what life is like on the Forty Acres? 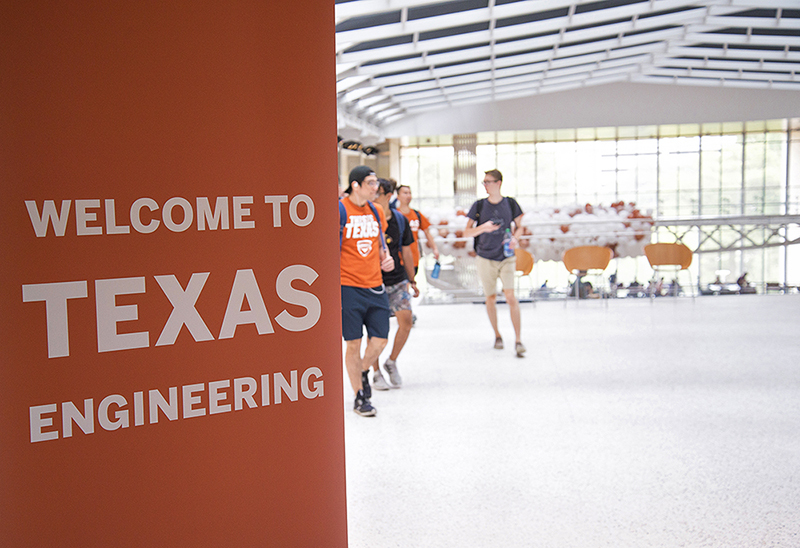 A visit to campus is one of the best ways to learn about the Cockrell School of Engineering and The University of Texas at Austin — our academic programs, student services, extracurricular and student group offerings and life in Austin. We encourage students and their families to start with an Engineering Information Session. We encourage you to connect with the graduate advisor and coordinator in your program of interest to learn more about visiting opportunities. Students wishing to transfer to the Cockrell School of Engineering from another university can meet individually with an advisor in Engineering Student Services. Call 512-471-4321 to schedule an appointment. While prospective transfer students are also welcome to attend an Engineering Information Session, parts of the presentation are geared specifically toward prospective first-year college students. Students and families can register for an official campus visit led by a freshman admissions counselor to give you the inside scoop on admissions, housing, financial aid and other important topics. Separate information sessions are held for both prospective and admitted students, followed by a student-led tour of campus. Students and families can also tour residence halls. You can also attend an information session at a UT Austin Admission Center in your local area.